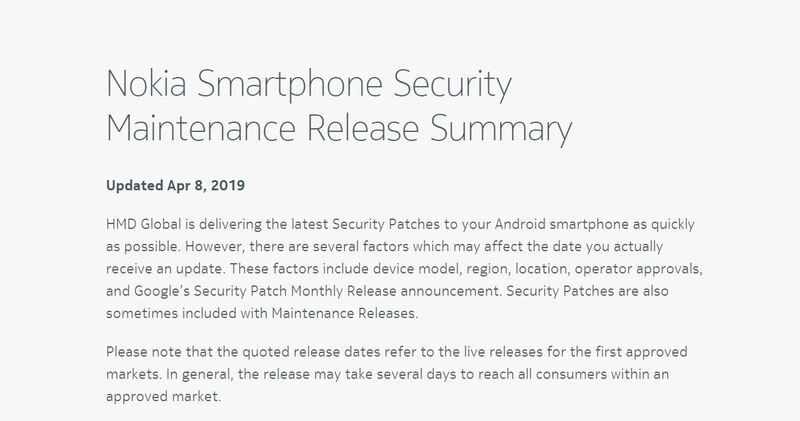 Nokia Mobile today updated their informative Update tracker site, where users can check if an update rollout has started for their device. We have already written about the V3.51F update hiting a lot of Nokia phones, so seeing today that my Nokia 6.1 wasn’t the 6.1 for which the update was sent out, made me stop hitting the “check new updates” button constantly. When you open the tracker, you have to select your device and identify the “About screen SW ID” that is the same as on your device. Other columns are quite self-explanatory. A small note: The tracker shows when the update started Rolling out for a particular variant, and it may take time (depending on the market and operators) until the update is available for your device. From new Nokia devices, I noticed the Nokia 1 Plus being included, while the 9 PureView made its appearance last month. Regarding Pie, just two Nokia phones are awaiting the start of the official rollout of Android Pie – Nokia 1 and Nokia 3. Going through the tables, I also noticed that not all variants of a phone that started receiving Pie, were updated to Pie, meaning that HMD is probably still waiting for market and operator-related approvals to push the update (for example, Nokia 8 00WW_4_88B_SP08 is on Oreo 8.1 still).